Don’t let insect bites and stings ruin your outdoor fun! 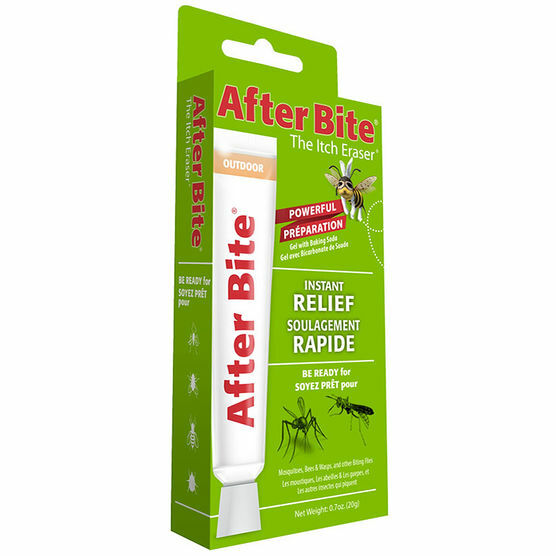 • After Bite® Outdoor is a powerful treatment that provides immediate relief from insect bites and stings. • Extra strength gel with Baking Soda contains antihistamine and Tea Tree Oil to soothe the skin and stop the itch and pain. • Keep After Bite® at home, in your car, in your golf bag, tackle box, back pack, and camper.